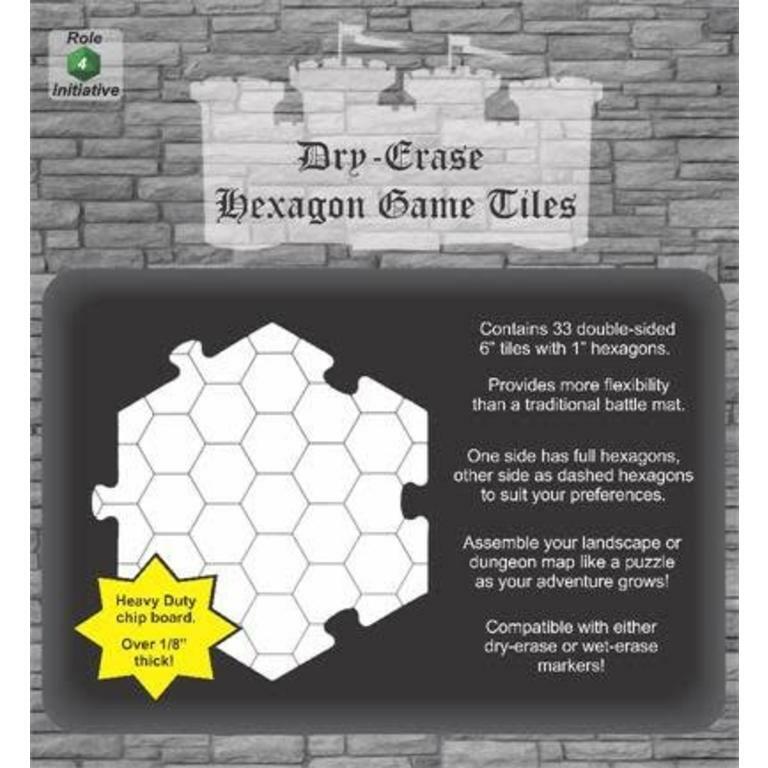 This pack of Dry Erase Game Tiles contains 33 double-sided hexagons, each with a 1" hexagon grid. Made out of heavy duty chipboard, they're over 1/8" thick. 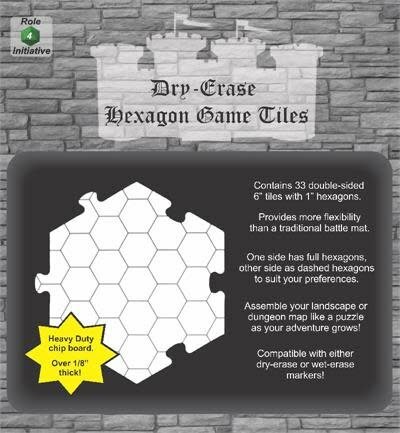 This set of tiles provides more flexibility than a traditional battlemat by allowing you to assemble your dungeon map l ike a puzzle as your adventure grows! 6" diameter. 33 included per package. Dungeon Master Tips: Pre-draw detailed maps before the game starts and then connect the Dungeon Tiles as the adventurers go exploring. One side is printed with full hexagons, the other side has dashed hexagons, for whichever is your preference. Markers, miniatures, and dice not included.